A spacefilling Triskelion Julia set. 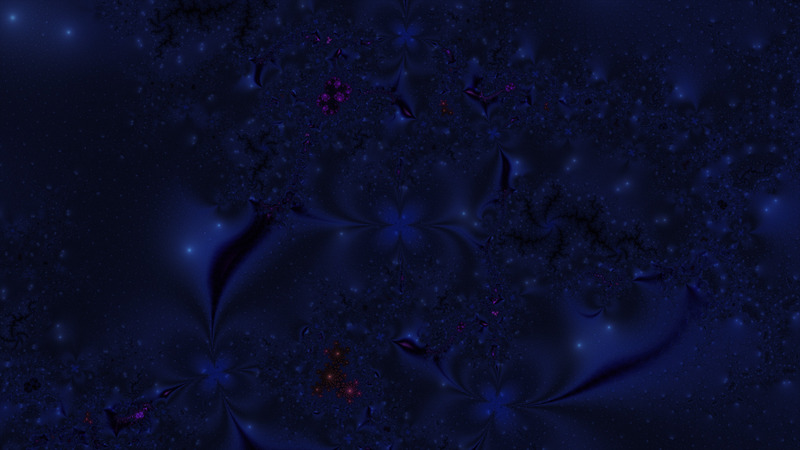 Three types of disconnected quadratic Julia set can be discerned in here: the reddish starburst near the bottom center and its smaller replicas, the violet swirl near the top center and its smaller replicas, and a dark five-fold dragon-Julia form right of center and its smaller replicas. The biggest ones of each type, you'll note, are centered on a cube root of unity.